This is the class you've been looking for...carry within city limits! will be honored by both states. to meet together and to learn from each other in a safe, open, and relaxed environment. while the "men" stay at home with the kids - it's "
Must be 21 years or older within the next year to attend this class. use of a firearm + Legal Q&A (by female attorney when available). One day course (weather permitting). Social hour, personal discussions, private moments, and more! This course is accepted by Oregon; Resident and Non-Resident applicants are able to apply for an Oregon Concealed Handgun Permit! Includes special coverage related to women, personal options, non-lethal options, tasers, stun guns, personal defense options, and more. This is a WOMEN ONLY Class that does not include lunch; see options below, call for additional information. Add Rental Package - Wide selection of different guns & calibers - ammo included, try before you buy - $ 49.95! Our lead instructor nationally trains and certifies others to be Certified Instructors in Idaho and other states. He is also the author of the best selling book "How to Become a Professional Firearms Instructor". Receive first-hand, knowledgeable, professional training from an instructor who trains and certifies others to be Certified Idaho Enhanced CCW Instructors! ~ 2+ Hours Professional Range Time - Shoot better than ever before! ~ Taught in a clean, professional classroom environment. ~ Everything needed to pass the firearms training in a single day (weather permitting*). ~ Must be 21 years of age or older within the next year to attend. ~ This course is accepted by Oregon and satisfies the Oregon Resident and Non-Resident training requirements. ~ Exceeds Idaho Classroom Requirements. ~ Exceeds Idaho Range Requirements. ~ Use your personal attorney or ask about our attorney referral service for legal portion. ~ This class meets and exceeds Arizona, Colorado, Florida, Montana, Oregon, Washington, and Wyoming resident and non-resident CCW license requirements. ~ This class allows Idaho residents to carry in Colorado, New Mexico, and Washington. 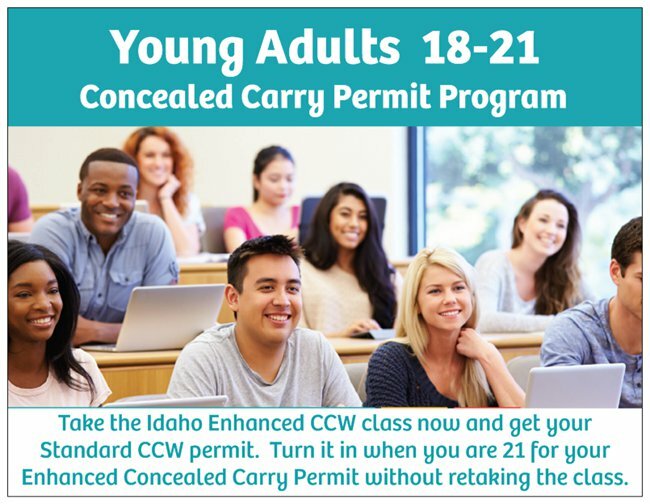 ~ The Idaho Enhanced CCW License allows for college campus carry (in Idaho). ~ All training is local! No need to travel hours to remote locations to complete your training. ~ WARNING: Students must have the ability to have fun while they learn! • Must be between 18-21 to attend this class. • This is the Idaho Enhanced Concealed Carry Class. • Exceeds the classroom requirements. • Exceeds the Idaho CCW Legal instruction requirements. • Shoot 98+ rounds of live-fire ammunition at the range. 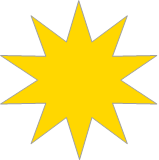 • Receive a Certificate of Completion at the end of the course. • Take the completed certificate to your local Sheriff office. • Complete the CCW application, have your fingerprints taken. • The sheriff will conduct a background check and inform you when it is completed. • That's it! There is no reason to retake the Enhanced class! • Save now and enjoy the benefits in the future.